Looking for that perfect inspiration to help you in your photographic pursuits? From May 30 to June 5, The Coffee Bean & Tea Leaf gives photography and art aficionados a real treat as it lets everyone marvel at Tom Epperson’s latest works in a special art show that will be held in Greenbelt 5. 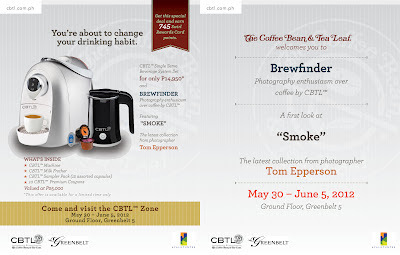 Entitled “Brewfinder: Enthusiasm Over Coffee at the CBTL,” the weeklong exhibition highlights the artist’s photographic prowess with a set that revolves around the concept of finding beauty in just about everything. “Brewfinder: Photography Enthusiasm Over Coffee at the CBTL” is the first of The Coffee Bean & Tea Leaf’s Taste Series, a seven-part pocket event series that highlights the brand’s single-serve system—the CBTL. Borne out of a partnership with the Italian design and espresso-making expertise of Caffitaly, CBTL raises the bar for coffee and tea aficionados by bringing the distinct Coffee Bean & Tea Leaf café experience into your home. 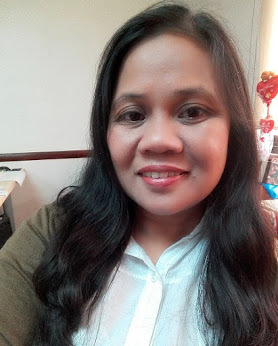 The CBTL. One touch. One perfect cup.